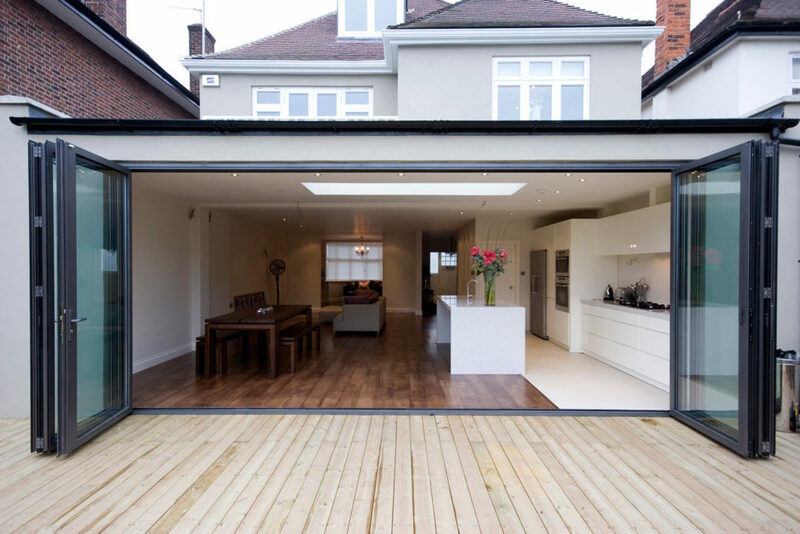 An extension is an excellent way to add space to your home; it can add a considerable value too. But for it to fulfil its promise and live up to your dreams, then it must be done properly. No doubt that you will be discussing your plans in detail with your builder, and maybe your architect too, so to help here is some advice on how to design your extension to be both beautiful and practical and ensure that your investment pays dividends. Remember, it is often easy to remove or add doorways and internal walls to create the overall ambience you want to achieve. Think about where the entrance is located and your hallway leads to the surrounding rooms; how your kitchen integrates with your dining room; and how the new area will be used by each member of your family. Why stop at one storey? Consider building upwards rather than sticking at one storey. Often additional upstairs space can be added easily and at much lower cost in terms of price per square meter. The biggest costs are generally the foundations and roof, so it makes sense to add as much internal space between these as you can. You might consider adding a new upstairs bedroom or bathroom, or simply increasing the size of an existing one. Often you can add an extra story on an existing structure, for instance an existing single storey extension or a garage. There are various approaches you can take with regard to the style of your extension. 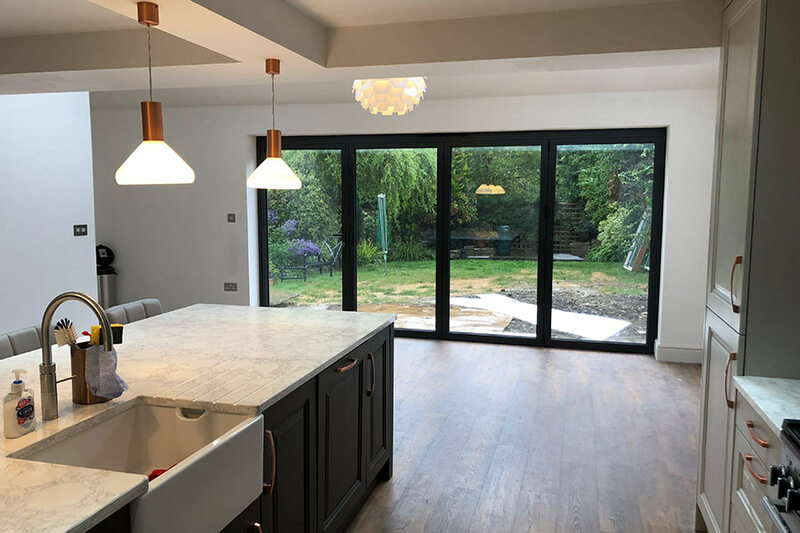 Often the best approach is to make your extension invisible so that anybody who wasn’t aware that you had extended your home would hardly notice it; it would be seamless and look just like a part of the original building. Clearly to do this you need to match everything including the basic design elements, the pitch of the roof, the building materials, the bricks and brickwork, and the colour of the mortar. Using a complementary but contrasting style is the opposite approach, but one that can also be highly effective. It really depends on the existing design and what works for you. Generally, you don’t need planning permission for conservatories, but they are subject to building regulations, for instance how they connect to your home; they should be separated by external doors to minimise energy loss. They can also be difficult to keep warm in the winter and impossible to keep cool on hot sunny days. An exciting alternative is to create a sunroom. Essentially this is an extension with extensive glazing in the walls but with a conventional roof and at least one insulated wall. You might also include a roof lantern to provide more natural light. You get all the benefits of a conservatory but none of the drawbacks as the temperature is easy to control. Modern buildings tend to have low ceilings, but tall ceiling can add a whole new dimension to your home, completely transforming the feeling of a room. A new extension gives you the chance to create one and generally without adding very much cost. If your extension is underneath a pitched roof there could be an opportunity for a vaulted ceiling that opens all the way to the ridge, with the insulation being incorporated within the pitch. This can create a stunning feature so it is worth exploring the possibility. If you are adding an extension to an old building it is often difficult to match the different styles sympathetically. A solution that is used in conservation projects is to create an entirely separate building and link this to the existing structure using a glazed walkway. The link can be built using just structural glass so the character of the original building is essentially unchanged. To create a versatile space that gives the option of open plan living or separate areas, consider dividing the space with pocket doors. When closed they divide the space in two as if there was a dividing wall, but when open they disappear into the wall creating a completely open space. While it’s great to bring as much natural light as possible into your space, giving you the chance to enjoy your outside view, the downside is that people outside might be able to look in, ruining your feeling of privacy. If this is the case, you might consider obscured glazing. Options include glass blocks which let in the light but obscure the view; stained and coloured glass; etched and sand blasted glazing; and even the recent innovation of electrically switched intelligent glass. Rather than block off your old chimney flues, you can preserve the ambiance of a warm open fire with a flue-less gas fire. They are energy efficient and there are some great designs both traditional and modern. Wood burning stoves are another option. If you are adding a staircase, why not make it a feature of your home? There are many options, for instance spiral staircases, cantilevered steps, and balustrading. A beautifully designed staircase can make a huge difference to the overall feel of your living space. Don’t neglect your outside space. Outside structures can add an extra dimension to your living space in the warm summer months providing you with a covered space to enjoy and to entertain. 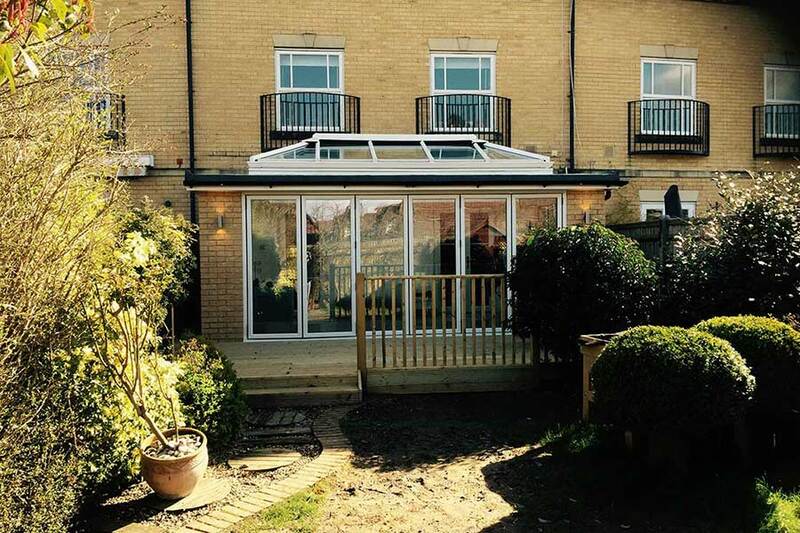 This could take the form of a veranda or loggia or a supported or cantilevered flat roof; there are many design possibilities you can explore. You can also use cantilevering for creating balconies and mezzanine structures. Cantilevered floors that seem to hover in the air can be used to create structures where it isn’t possible to build conventional foundations. A garden room or entirely separate annexe might be an alternative to a conventional extension. You could use such a building as a hobby or games room or even standalone living space that includes a kitchen and bathroom. Such a building could be entirely separate, or you could connect it with your main dwelling by a covered walkway. Light should be a major influence in your overall design. Both natural and artificial light are crucial if you want to make the very best of your investment. Be careful to ensure that your extension doesn’t block of the light to the existing space; if it is in danger of doing so consider introducing more natural light be creating a new window or roof lantern. Today there are many innovative approaches to internal lighting. Versatile lighting that can be adapted for any occasion is ideal. LED lighting has become popular, but there are other options to consider too. While multiple source lighting is generally the best solution, there is still much to be said for more traditional approaches it they are more appropriate to your setting. These are just some tips to help you start thinking about your extension design; no doubt you will have plenty of ideas yourself. Creating an extension is an exciting project that will add value to your home and provide a real boost to your lifestyle.